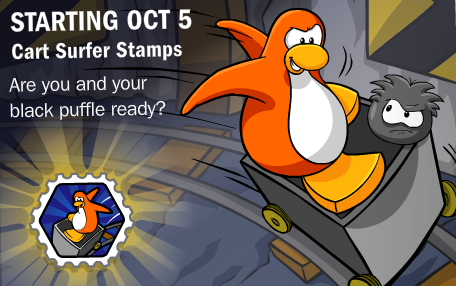 Club Penguin Cheats by Mimo777 Club Penguin Cheats by Mimo777: Club Penguin Spooktacular News! I'm getting ready for the party too. I also have been making tutorial videos for anyone still trying to earn game stamps. They are located on my Youtube channel. My Youtube username is Doriguin. Look me up if you need any help earning those last few stamps. This month is sure to be a blast. it looks like the hats are golden. 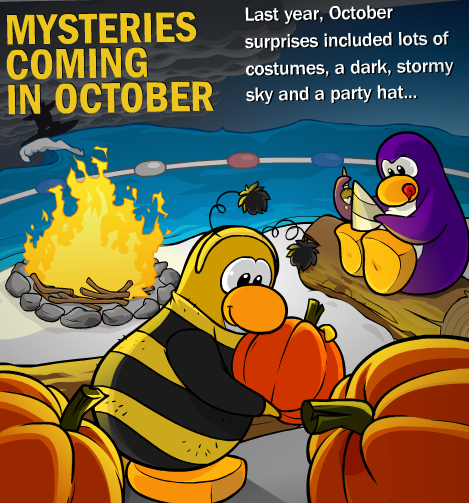 i see a penguin with a golden hat in the pic so it must mean it is gonna be gold. There might be a storm coming.... I didn't see anything in the telescope at the lighthouse or the binoculars at the cove.... they might just think its too early to show the storm or something.